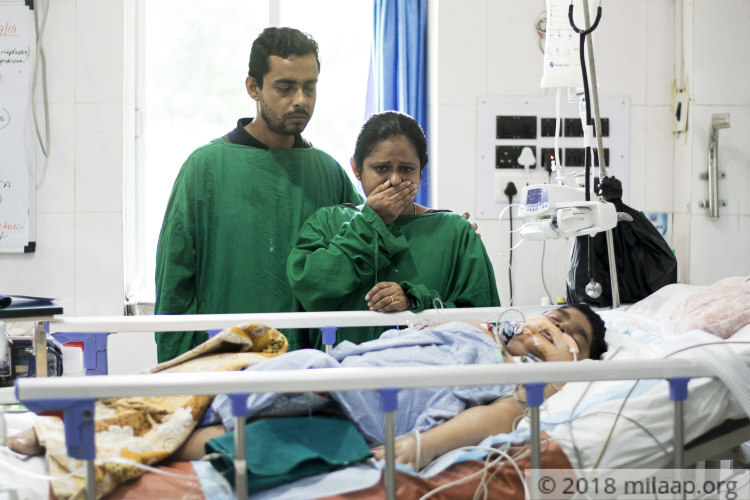 “It was not even 24 hours that we had discharged Srijan from the hospital. Right after we brought him home, he suddenly couldn’t breathe. We had to rush him back to the hospital again. I believed he only had kidney problems, but it’s heartbreaking to know it is more than that now. His lungs are filled with water and that has caused pneumonia. 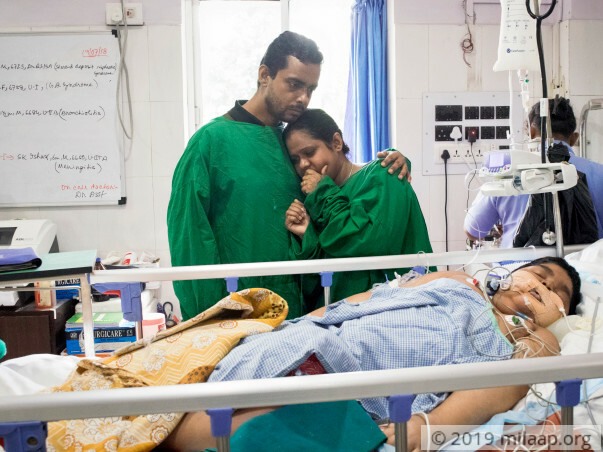 His kidneys are on the verge of getting completely damaged too and I am so scared,” Debabrata, Srijan’s father. For 9-year-old Srijan, a salt-less diet and never playing outside was part of a normal life. 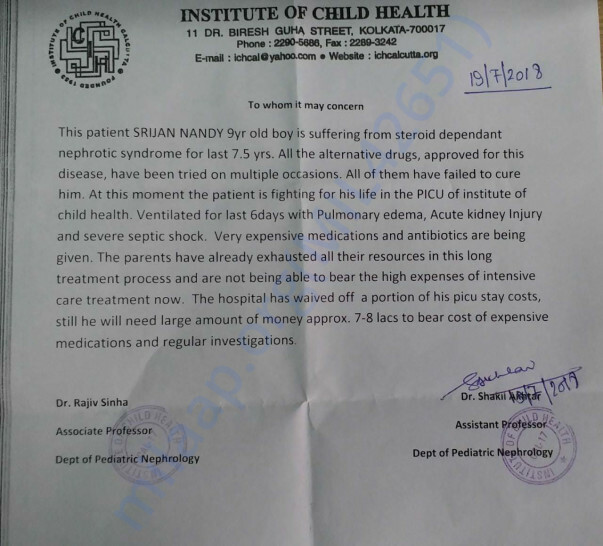 He has been suffering from nephrosis, a kidney condition in which there is a loss of protein in the urine, since he was barely 2. He has been on steroids and medicines all this while due to this. Srijan was never able to go to school regularly. He had become overweight due to the steroid-based medicines he was taking. 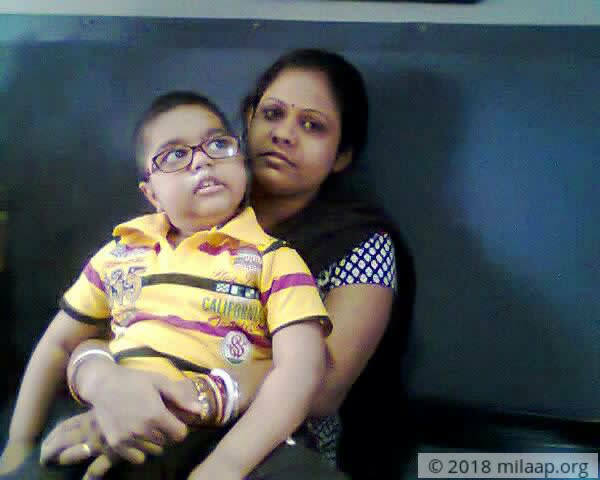 Debabrata and Nilabati always had a tough time to convince Srijan to step out of the house because he had low self-esteem. In spite of constant counseling, Srijan was never able to deal with it. But now, his condition has become much worse. Debabrata works in a small ply shop and manages to earn Rs 5000 a month. He is constantly at the hospital with his son. He has not been able to go to work for some time now. He might even lose his job soon. Debabrata has lost count on how much he has spent so far. He had a small garment shop which he has given up. He also had to sell the small plot of land which he had kept for future investments. Nilabati has also sold her jewellery. This desperate father has even taken loans from private lenders. He is desperately looking for a way to save his only child now. 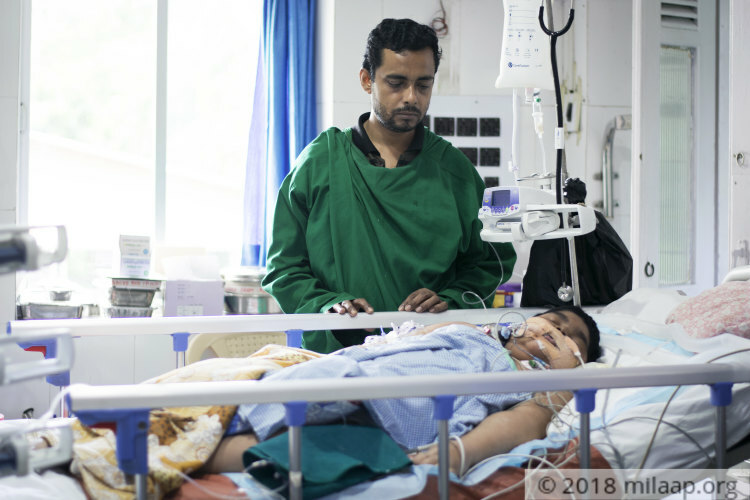 9-year-old Srijan has nephrosis which has led to lung infection and pneumonia. He needs to stay in the PICU until he is out of danger. 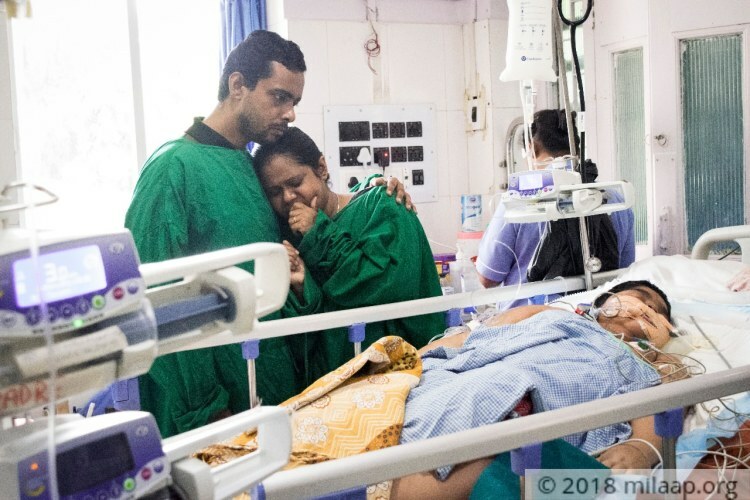 The cost required to save his son now is Rs 8 lakhs. His father, Debabrata has already exhausted all his sources and he has nothing left to save his only son. Srijan fought hard but could not make it. 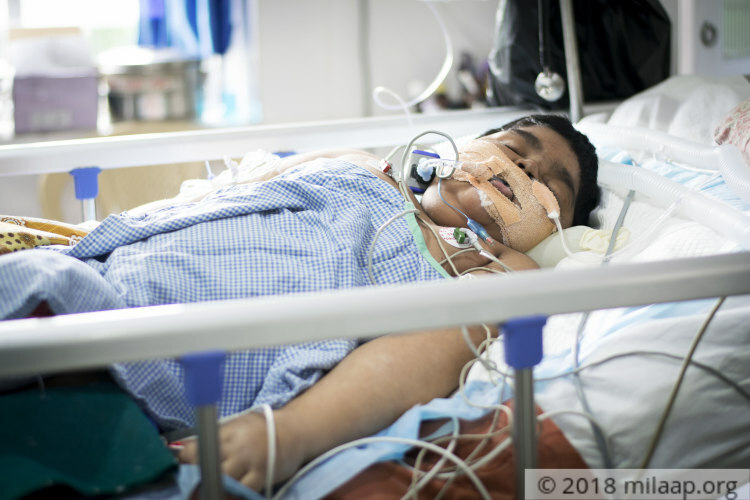 He was a known case of kidney disease ( Nephrotic syndrome) for the last 8 yrs. He received all possible medicines but without success. 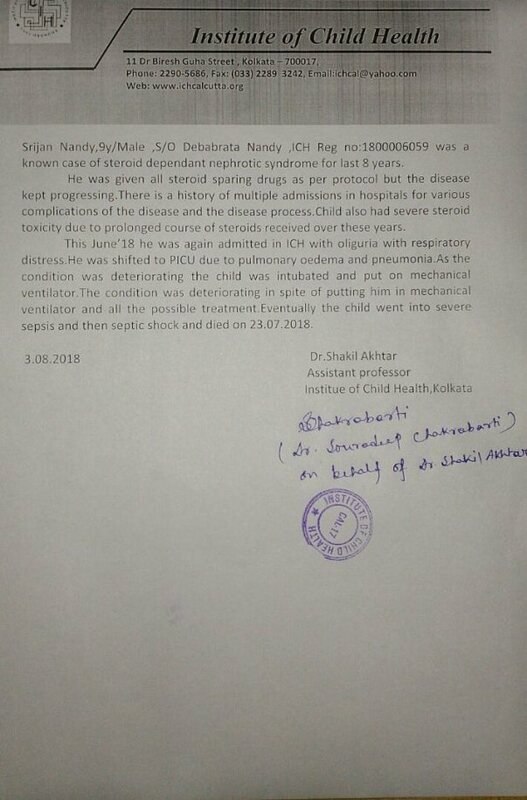 He was admitted this time in PICU with pulmonary edema, infections etc. His health deteriorated in-spite of all kinds of treatment. He eventually succumbed to severe infections and septic shock. All the raised funds were utilized for his treatment.